disclaimer: The Residence Clubs show are not owned or operated by Internexus San Diego. These websites / examples are provided simply for convenience. Welcome to Studio 819 Residence Club. 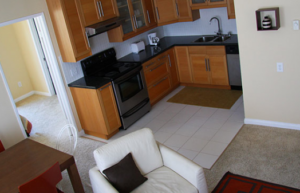 A furnished apartment is designed for vacations, business trips and extended stays. Located in the heart of Hillcrest, right next to downtown San Diego, enjoy the walkable neighborhood full of cafés, restaurants, and shops , Just minutes away from freeway access, nearby attractions include Sea World, San Diego Zoo, Balboa Park, the Gas Lamp Quarter, Petco Park, Sea Port Village, Qualcomm Stadium, Old Town and many many more.With flexible rates and apartment style amenities, Studio 819 Residential Hotel’s goal is to provide the best value and the best service for our guests’ business endeavors, vacations or first-hand California lifestyle experience. * $10/day weekend surcharge will apply on Saturdays & Fridays. ** Surcharge will apply on Holidays. *** Cash payment will require a $100 minimum cash deposit. **** San Diego City Transient Occupancy Tax: 10.5%. From June 30 to August 31 there is an additional $25 per week Summer surcharge. Additional Fees: Refundable security deposit of $100 due at check-in and a non-refundable cleaning fee of $25-$30 depending on room type. *“Shared Room” = Two students coming together. **“Matched” = Residence will attempt to assign a roommate of a different nationality, however, this can not be guaranteed during high season (June 30 – August 31). Taxes: The price for 2 weeks and 3 weeks includes a 10.5% hotel tax by the city of San Diego. Double Occupancy: For friends only – there are two small beds. Rooms Include: Mini-refrigerator, microwave oven, telephone with voice mail, and color TV. There is a large common kitchen on the main floor. There is a laundry room. Both of these residences are located next to each other in the famous Gaslamp District of downtown San Diego. Many restaurants, cafes, night clubs, and shops are within a short walking distance. Also nearby: Petco Park baseball stadium, San Diego Convention Center, Horton Plaza Mall, Seaport Village, and Embarcadero Marina Park. The trolley stop is located close to the residences. Amenities include: Cable TV, Refrigerator, Microwave, Telephone, Free Wireless Internet, Towels and Linens, Fitness Room, Laundry Room, Air-Conditioning/Heating, 24-hour Front Desk Service. Additional Fees: $200 refundable security deposit to be paid directly upon arrival. Cleaning service available for an additional fee of $30. Taxes: All taxes are included. Taxes: The price for 2, 3, and 4 weeks includes a 10.5% hotel tax by the city of San Diego. Rooms Include: Private bath, television, microwave, mini-refrigerator, free wireless Internet,. Laundry room and fitness room onsite. Note: ELI will not be responsible for booking rooms at these residence hotels. This website is for general information only.